It is 8am when we arrive in Mwalija Village, a floodplain in Chikwawa District where gushing water from Lake Malawi freely flows to the Indian Ocean. The sun is scorching and villagers on the roadside can be seen rubbing off profuse sweat, but they need not worry. Abundant water and sweltering sunshine constitute life-changing endowments less ultilised by these communities along the Shire River, the sole outlet of Africa’s third largest freshwater lake. The largest river in Malawi is home to turbines that generate 98 percent of electricity which supplies just a tenth of the country’s population. 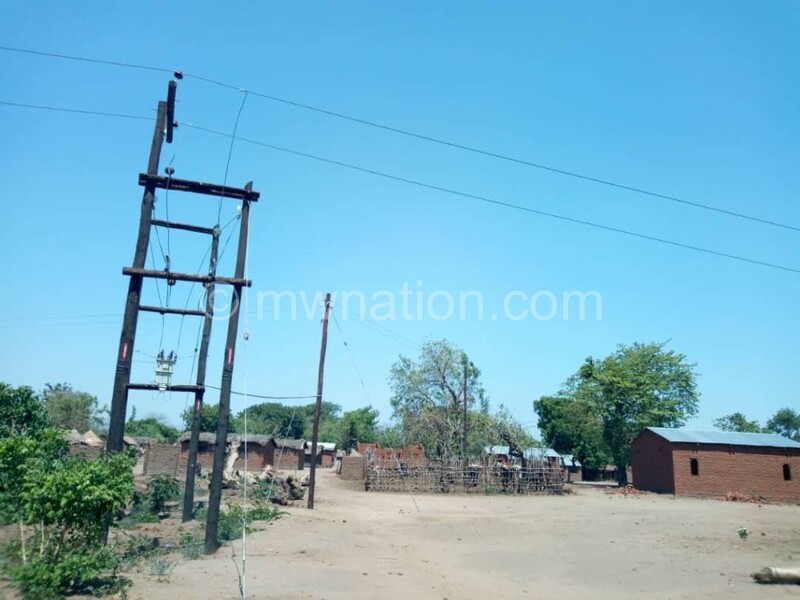 Though located in the shadow of massive metallic towers that lift power from Kapichira Hydro Power Plant nearby Chikwawa Town and Blantyre City, Mwalija Village has no access to electricity, this mirrors the hardship faced by the excluded majority. Before villagers in this energy impoverished community had suffered any longer, the awakening to readily available solar energy came as relief. Thanks to the growing awareness on clean inclusive green energy in Malawi. Farmers close to the country’s largest river are tapping energy from the sun to pump water into their fertile crop fields. Rain-fed crop produce was already dwindling in yields year after year due to persistent dry spells and chronic floods. “Our area isn’t necessarily poor. Sadly, it has taken us decades to start harnessing solar power to irrigate our crops. Now, we have the power to overcome hunger, malnutrition. 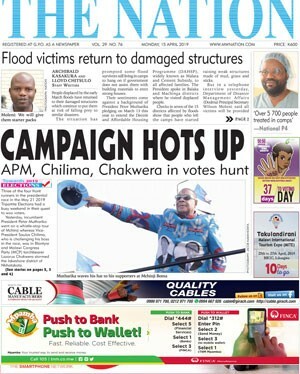 and poverty,” says Felix Fabiano, the secretary of Mwalija solar-powered irrigation scheme in Chikwawa District. Converting sunlight to energy, Mwalija Solar Power Station is transforming livelihoods in the 11.7 hectare irrigation founded by 72 people in 1996. It noiselessly lured back farmers who abandoned irrigation farming because they could not afford diesel for powering two water pumps installed by government. Apart from being expensive, fossil fuel pollutes air and causes climate change. Looking back, Fabiano narrates: “By 2003, 64 farmers stopped farming because they could not afford diesel. Only eight of us remained though rising diesel price and travel continued to erode our profit. Throughout, it was certain that we couldn’t continue producing crops that way,” says Fabiano. The remnants got their wish in 2015 when the European Union provided the 15-kilowatt solar power station in its Sustainable Energy for Rural Communities Project targeting 300 000 in Malawi and Zimbabwe. EU is implementing the project in partnership with HIVOS Southern Africa, Environment Africa and Christian Aid for Relief and Development (Card). The joint intervention is bearing fruit; farmers are harvesting maize, onion and beans in the irrigation fields. In Chikwawa, Fabiano has yielded five bags of beans which he hopes to sell at K45 000 to K50 000 each. His plot, measuring 20 metres by 50 metres, also boasts of onions. His family plans to buy iron sheets for their three-bedroom house and connect it to the five-kilowatt decentralised mini-grid. “Mwalija Solar Power Station is changing lives. Now we grow crops three times a year. The future looks bright. Soon, T/A Kasisi will be a major food supplier. Businesspeople in Chikwawa will stop long travels to Tsangano and Lizulu in Ntcheu to order beans, onions and tomatoes,” he brags. The irrigation scheme now serves 76 farmers, including 42 women, from Ndola, Njeleza, Mwalija, Chipula and Sekela. “Women are contributing to their household’s income without relying on men for everything,” says Margret Phanga, from Njeleza Village, has harvested 10 bags of maize and one bag of beans from a highly field she rents in the valley rich in alluvial soils. The Shire Valley is home to three other similar EU-funded sustainable energy projects, including Makhuwira in Chikwawa as well as Nyavuwo and Chimombo in Nsanje. 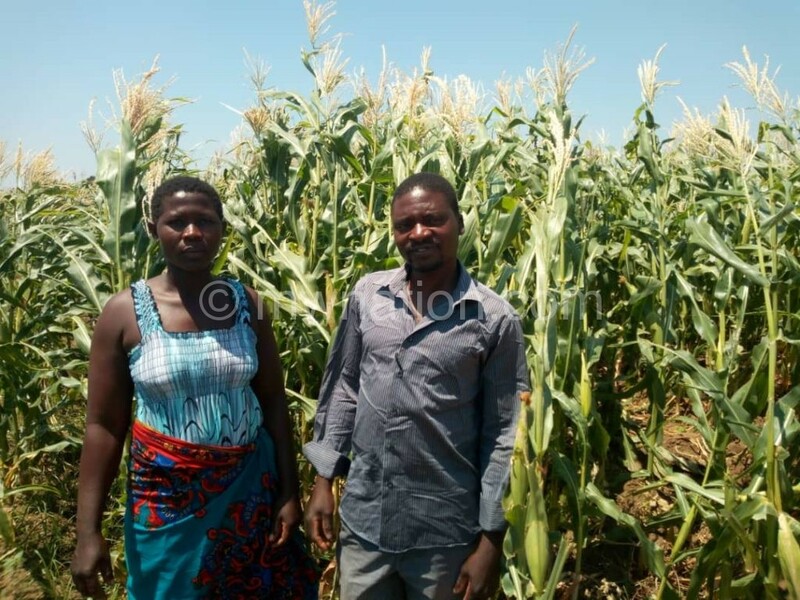 The farmers are saving some earnings in readiness for disasters, including drought like the one that scorched Phanga’s maize last year and floods the size that hit the Shire Valley and 13 other districts in southern Malawi in 2015. “I did not harvest a single bag from my rain-fed maize field, but the solar-power irrigation has taught us that we can use the sun to our advantage. With stable income from farming, we no longer raid natural forests in Majete Wildlife Reserve to produce charcoal for sale,” says Phanga. Just like that, renewable energy is lifting the farming community out of poverty in line with Sustainable Development Goals (SDGs). In SDG7, the 17-point global goals to wipe out poverty by 2030 calls for access to sustainable, clean and affordable energy for all. Interestingly, the solar power station is providing water and electricity to Mwalija Health Post, a health surveillance assistant’s house, classrooms at Njeleza Primary School and four teachers’ houses. “Previously, we were struggling to keep vaccines cool and work in rooms dimly lit by candles or torches. Now, I assist patients at night and write reports without worrying about candle fumes and high costs of torch batteries,” says the HSA, who runs the health post. 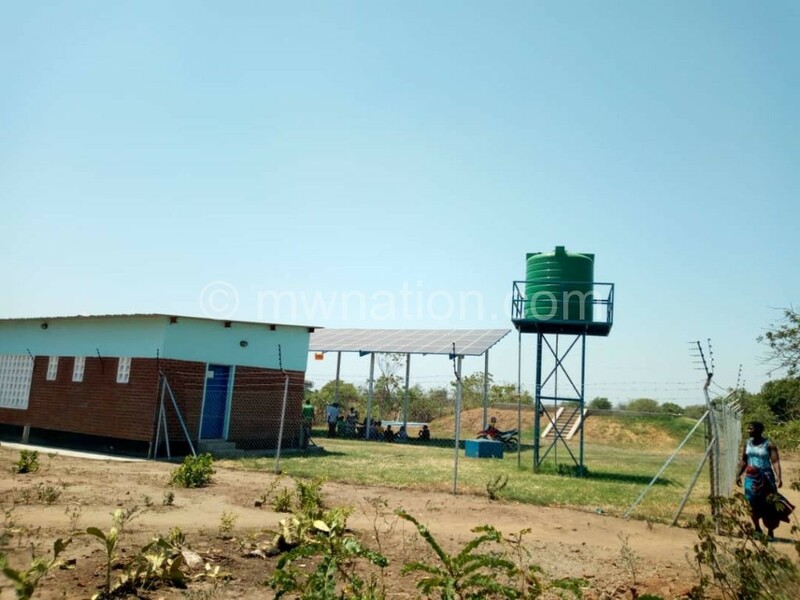 Mwalija Irrigation Scheme chairperson Hanna Logeya connected her home to the mini-grid. Now, she saves K2 500 a month by lighting her home using solar bulbs instead of the traditional torches powered by dry cells. But there is a good reason she wishes more people were connected. “Access and productive use of energy transforms livelihoods. We want many families to have electricity. We have poles and power to ensure everyone has access to electricity, but we have run out of aluminum wire for distribution. We also need pipes to ensure every irrigation plot gets adequate water,” she says. Logeya is savings to buy a TV for a showroom where people will watch films at a fee and a refrigerator to start selling chilled water, thobwa and sweet beverages which sell fast in the sweltering stretch. “Nowadays, people know solar energy works wonders,” he says. He reckons the power station has stimulated some families to buy rooftop solar panels in a gradual catch-up, but government needs to remove value-added tax on solar energy accessories to reduce the initial coats which many rural Malawians cannot afford. He says: “I feel good that my village has the power to irrigate their fields anytime, without paying huge costs of diesel or losing energy. Farming and electricity aside, we also get potable water from four kiosks where each family K200 per month. But making solar facilities affordable is key to ensuring access to electricity for all,” he says.